PARIS, France (CNN) -- French Internet users who download files illegally could have their service cut off under a new law enacted by the French government. 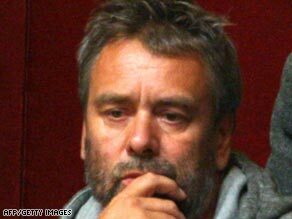 French filmmaker Luc Besson attended the vote passing the new law into action. The "three strikes and you're out" law will see violators getting up to two warnings before their Internet service providers could be allowed to cut service for as long as a year. The tough new legislation sailed through the French Senate this week, even as opponents promised to continue to fight it in the courts. The law sets up a special government anti-piracy agency to monitor "internauts," as French Internet users are called. It will ensure users are paying for movies and music that they download. While there are countries with stricter penalties such as jail time, in France opponents of the law are angry that the new government agency will be outside the judicial process. That means it can disconnect Internet service without oversight. Opponents of the law worry the government agency could be packed with over zealous enforcers who will side with filmmakers and the recording industry, or even invade the privacy of Internet users. The legislation has split France's political opposition, which protested against the new law. The political left -- traditionally supported by performers and artists -- found that on this issue the creative types were on the government's side, seeing the legislation as a way to protect the intellectual rights that are the foundation of their livelihood. Though the new law still faces a court test and may not be compatible with European legislation, the government plans to have the agency up and running by next year.